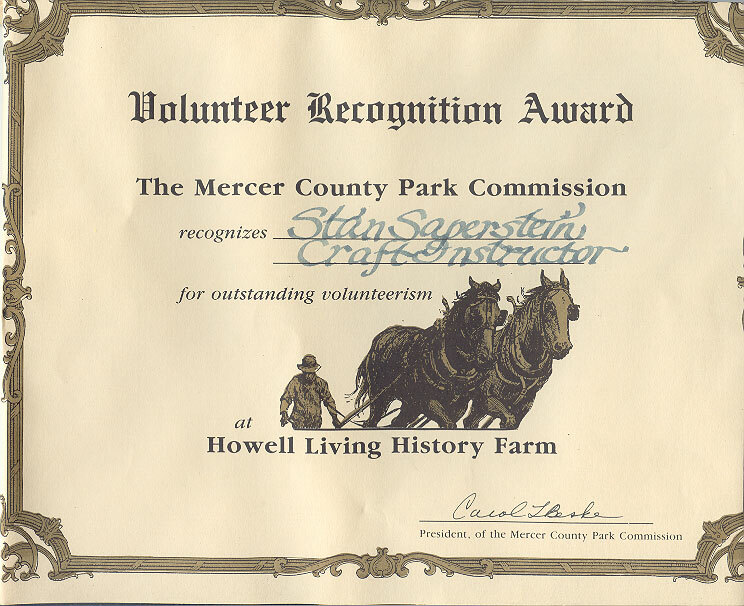 Stanley & Eric have been volunteers at Howell Farm on and off for almost 20 years now, involved in various aspects of the farm including education, farming, and restoration. 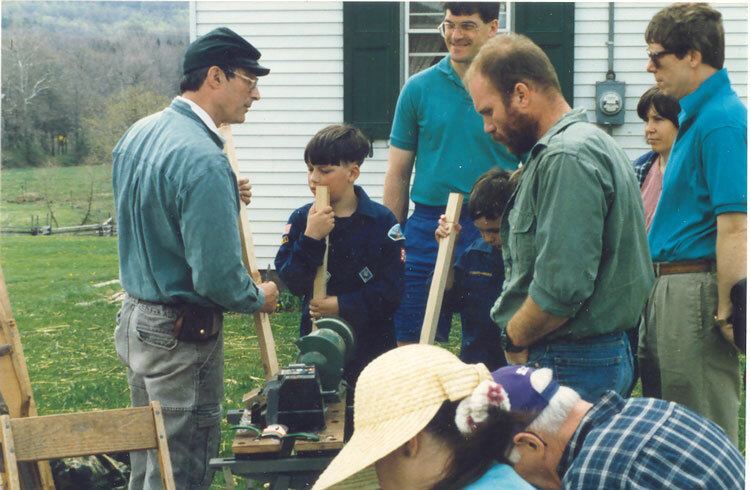 Eric spent several summers working long days as a farm hand, thus avoiding summer camp. 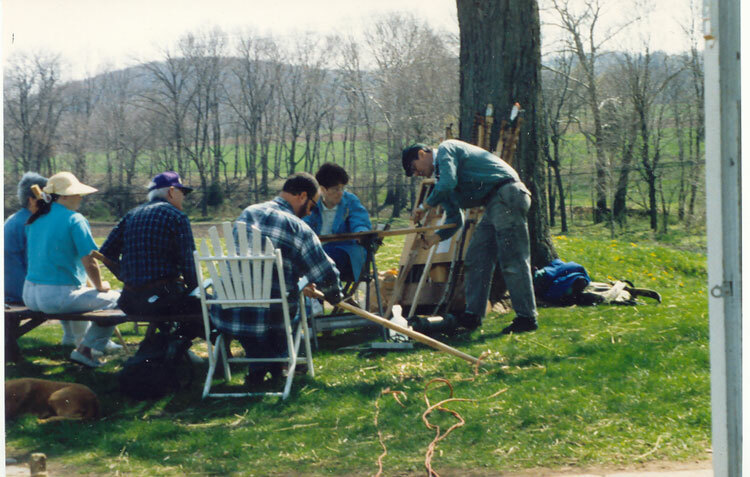 Antique conservation and restoration is the same in theory no matter what the scale. Stanley ran projects for Howell farm including large-scale timber framing repair and restoration for farm buildings and assisted in the farmhouse restoration. 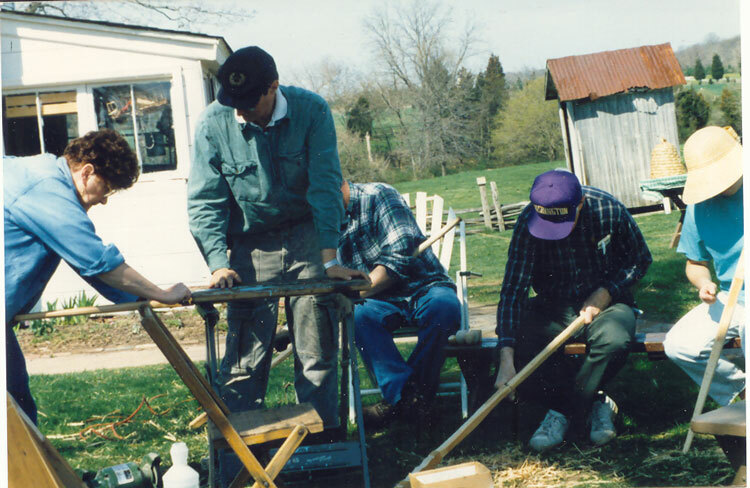 Eric & Stanley also became involved in a project to build furniture for the farmhouse through the Hopewell Valley School District Adult schooling program. 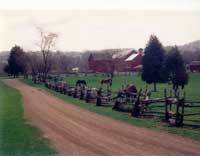 The class, lead by Mr. Saperstein, produced several of the country pieces featured on this site. This beautiful, rustic cupboard (left top) or tung and groove back pine corner unit (left bottom) can be commissioned to your requirements dimensions in pine, oak, cherry, or poplar as a country design. 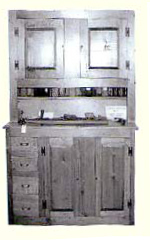 This roomy pine server (below center) with three drawers and two cabinets can hold a treasure of items is also available in cherry and oak. 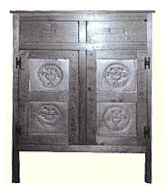 This unique tin pierced cabinet (above far right) served a special purpose in keeping flies off pies and breads and allowing air to circulate, preventing mold. It is available in any size, with or without drawers, in oak, cherry, poplar, or and pine. Feature panels are available in tin, brass, or copper sheet metal. 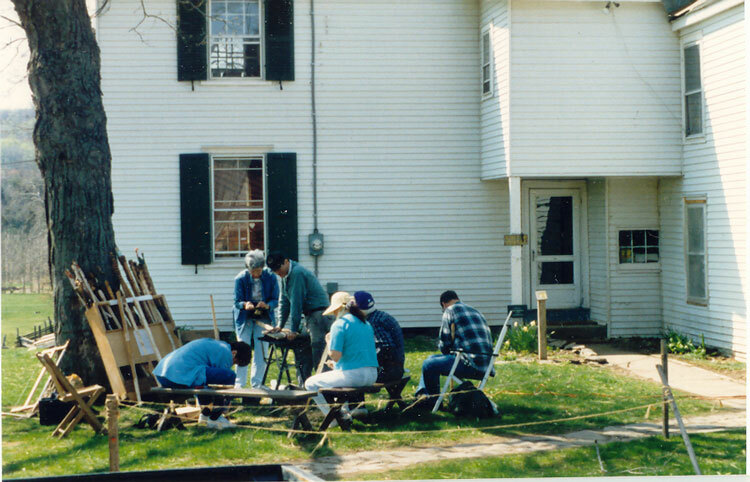 Stanley currently runs various craft programs at Howell farm including a walking stick carving sessions, folk art demonstrations, and periodically equipment or building restoration projects.